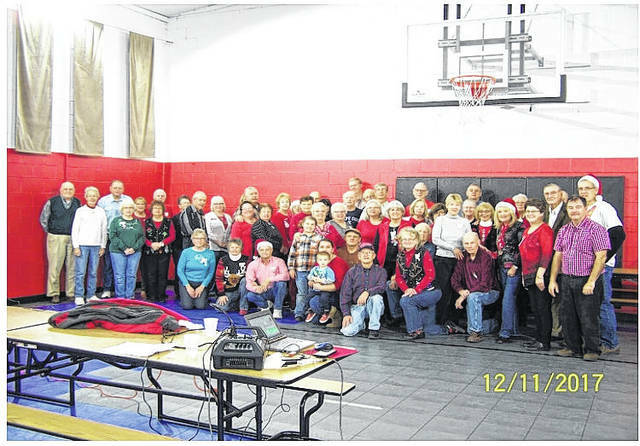 56 members and former members of the Belles and Beaus Square Dance Club recently held their annual Christmas party at the Gavin Employees Club in Cheshire, Ohio. It was an evening of fun, dancing, and socializing. A pot luck dinner was enjoyed by all that attended. https://www.mydailytribune.com/wp-content/uploads/sites/42/2017/12/web1_FullSizeRender.jpg56 members and former members of the Belles and Beaus Square Dance Club recently held their annual Christmas party at the Gavin Employees Club in Cheshire, Ohio. It was an evening of fun, dancing, and socializing. A pot luck dinner was enjoyed by all that attended.